MARK JANAS began his piano studies at age of three, composed a sonatina at 5, and by high school was conducting the Hammond Area Youth Orchestra. At Indiana University he studied with pianist Karen Shaw, composer Bernhard Heiden, and conductors Jan Harrington & Tibor Kozma, among others. While a senior at Indiana, he was chosen by Leonard Bernstein to conduct at Bernstein festivals in Israel and Austria. He was twice Bernstein’s assistant, for concerts with the New York Philharmonic and Boston Symphony orchestras. 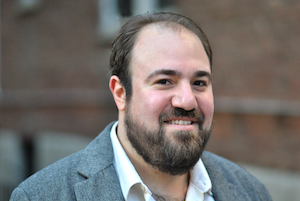 After receiving a Bachelor of Music Degree from Indiana University and a brief stint as associate conductor of Texas Opera Theatre, he acquired a Master’s Degree in Orchestral Conducting at Rice University, while simultaneously founding and conducting a professional group, Orchestra Texas. In 1982, he was a conducting fellow at the Los Angeles Philharmonic Institute, studying with Bernstein, Tilson Thomas, Hogwood, and Blomstedt. In 1984, he jumped the fence to musical theater, composing a score for an historical drama The Lone Star, later recorded in London with members of the LSO, and later conducted the Houston Symphony in a performance of a Suite from the work. Mark was the Musical Director for the world’s largest production of Hello, Dolly! – creating all-new arrangements for its star, Marilyn Maye. 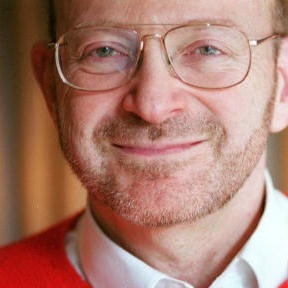 He performed all over the United States as associate conductor for two national tours of Les Misérables, as well as being Musical Director for the Yale Repertory Theatre, Hippodrome State Theatre, Arkansas Repertory Theatre and New Dramatists, to name a few. He has released 2 CD’s with Multiple Award Winner Julie Reyburn and his client list includes such stars as Len Cariou, Liz Robertson & Kathleen Turner. Mark is a Two-Time Bistro Award Winner – one for Outstanding Achievement as Musical Director and one for creating Salon, a unique, weekly open mic event. He is an Eight-Time MAC Award Winner – six for being Salon’s Founder & Artistic Director, one for Best Host and one for Best Song. 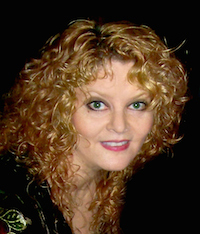 TANYA MOBERLY is the 2016 MAC Award Winner for Best Female Vocalist for her SONGS I FEEL LIKE SINGING – FOUR DIFFERENT SHOWS WITH FOUR DIFFERENT MUSICIANS series. She is a 2014 Bistro Award Winner for Outstanding Theme Show for her I LOVE NEW YORK SONGWRITERS show. She was a 2018 MAC Award Nominee for Major Female Artist for her SIX DIFFERENT SHOWS*SIX DIFFERENT MUSICIANS*SIX DIFFERENT FRIDAY NIGHTS series. TANYA has been performing in cabaret since 1997 when she co-created the MAC Award nominated THE BLONDE LEADING THE BLONDE. Her first solo show, MOBERLY SINGS DI FRANCO, was deemed by Cabaret Hotline “The Best Musical Event of 2001”. Other solo cabaret shows include: TANYA SINGS JONATHA BROOKE, THEATRE SONGS, TANYA LORRAINE MOBERLY SINGS BARBRA JOAN STREISAND, MOBERLY SINGS NILSSON WITH WEBER, TANYA SINGS THE BLUES WITH IAN, TANYA SINGS AMY, ANI, RICKIE, JONI WITH RITT and MOBERLY SINGS LOGGINS WITH WATKINS. Theatre credits include: April in COMPANY, Rizzo in GREASE, Columbia in THE ROCKY HORROR SHOW, Ruby in DAMES AT SEA, Lola in DAMN YANKEES, Dorothy in NITECLUB CONFIDENTIAL, Petra in A LITTLE NIGHT MUSIC, Drood in THE MYSTERY OF EDWIN DROOD and Hannah & Diana in CALIFORNIA SUITE. She has also toured the U.S. For Theatreworks/USA in GOLDILOCKS AND THE THREE BEARS and JUNGLE BOOK. Directing Credits include: Dan Ruth (A LIFE BEHIND BARS – 2018 Bistro Award Winner for Solo Play & 2018 MAC Award for Spoken Word), Amy Beth Williams (CRAZY TO LOVE YOU / CARRIED AWAY – 2018 Bistro Award Winner for Theme Show / A THOUSAND BEAUTIFUL THINGS / GREAT LADIES, GREAT SONGS), Marnie Klar (MARNIE KLAR SINGS / ACCIDENTAL HAPPINESS / HOME / TUNED IN / BEDTIME STORIES / MARNIE KLAR SINGS BOBBIE GENTRY), David Ballard (HAVING IT ALL / TRUE NORTH), Lisa Viggiano (LISA VIGGIANO SINGS BRUCE ON CHRISTOPHER & RESTAURANT ROW), Kathleen France (LA BELLA VITA), Kendra Cunningham (THIS COULD BE YOU) & Jennifer Bangs (SHE BANGS SHE BANGS – MARRIAGE, ADULTERY, TEXAS & JESUS). Tanya is a 2019 Bistro Award Winner for Outstanding Director. Dr. Bennett is a graduate of the prestigious Otolaryngology Surgery Program at the New York University School of Medicine in New York City. 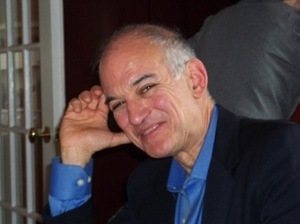 Through his work and studies at the New York University Hospital; Manhattan Eye, Ear, and Throat Hospital; and Lenox Hill Hospital, Dr. Bennett received intensive training in facial plastic and nasal surgery procedures, including rhinoplasty (nasal reshaping surgery), deviated nasal septum repair, functional nasal surgery, endoscopic sinus surgery, nasal polyp surgery, treatment of acute and chronic sinusitis surgery, and others. He completed additional rhinoplasty training at the Rousso Facial Plastic Surgery Clinic in Birmingham, Alabama, where he held a fellowship position in facial plastic and reconstructive surgery (sponsored by the American Academy of Facial Plastic and Reconstructive Surgery) He completed an internship at the General Surgery Department of the New York University School of Medicine in New YoCity. He received his medical doctorate from the Rochester School of Medicine in Rochester, New York. Born in Indiana, now a resident of Sarasota,FL, Father Jeff has lived and served internationally, bringing to his ministry and congregants the benefit of his many and varied experiences. While in medical school, Father Jeff served as a priest in the Caribbean. He has served in Great Britain, Italy and Mexico. He is a “tentmaker priest,” as he is also known as Dr. Jeff, a psychiatrist, who has a flourishing practice in Sarasota and Bradenton and offers telepsychiatric care to New York, Tennessee, and Wisconsin. Even though retired from Kings County Hospital he still serves as a Clinical Assistant Professor at SUNY Downstate and at LECOM in Bradenton. Not surprisingly, he brings his counseling skills to the parish and now is now assisting at St. Boniface on Siesta Key (the most beautiful beaches in the USA!). Father Jeff also serves on the Board of Trustees of the American University of the Caribbean, the Medical School on St. Maarten part of Adtalem. Music, one of Father Jeff’s many passions, is an important element in his life. He has been a patron of many events, groups, and individuals. He is proud of his relationship with the choir at St Clements, work with the Cabaret Festival in Provincetown, support of the Salon and his friendship with Mark Janas, Tanya Moberly and many in the Cabaret Community of NYC! On Broadway, Raissa performed the role of “Christine Daae” in PHANTOM OF THE OPERA, and appeared in CHESS, as a benefit for the Actor’s Fund. Her First National Tour credits include: “Jellylorum/Griddlebone” and “Jennyanydots” in CATS, “Mother” in the National Theatre of the Deaf’s version of A CHILD’S CHRISTMAS IN WALES, and “Lizzie Phagan” in PARADE, where she worked with the original creative team of director Harold Prince, choreographer Patricia Birch, author Alfred Uhry, and composer Jason Robert Brown. In NYC, Raissa has headlined at: Feinstein’s, Metropolitan Room, Iridium and The Laurie Beechman Theatre. She has guest starred at: The Supper Club, Rainbow Room, 88?s, Don’t Tell Mama, Chita’s, The Algonquin, and Radio City Music Hall. She has soloed with many symphony orchestras and was guest soloist at the estate of the legendary Cal Ripken, Jr. She was featured at the Lincoln Center Barnes and Noble in their Any Wednesday series, performing selections from her first CD, What I Was Dreaming Of. Her newest CD, Another Kind of Light, is being released by LML Music, during a week long engagement at Feinsteins, August 21st thru the 25th. On this new CD, three songs were written expressly for Raissa – 2 by Michael John LaChiusa: “Torch Song for Raissa” and “Bye, Bye, Ingenue”, and 1 by David Caldwell: “i carry your heart”. Two other songs receive their first commercial recording here: Ron Abel and Chuck Steffan’s “Waiting for a Westbound Train,” and “How Could I Not?” is from the David Spencer/Alan Menken musical, THE APPRENTICESHIP OF DUDDY KRAVITZ. 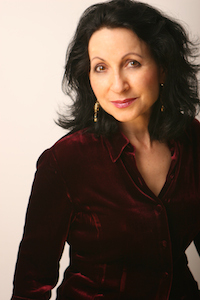 Raissa was nominated for a 2009 MAC Award for Outstanding Female Vocalist and received the 2010 Bistro Award and 2011 MAC Award for Outstanding Achievement as the creator, producer and host of THE CONCERTS FOR CITY GREENS, which is dedicated to the greening of cities, while introducing new audiences to the artists of the cabaret and theater communities. She writes a blog, “Raissa Recommends”, that highlights performances in the NYC cabaret and theater world, promotes animal rescue and a kinder, more verdant world. She is also a Reiki Master, and Platform Assistant/Chaplain, at Unity Center for Practical Spirituality, in Norwalk, CT.
Erin Cronican is a professional actor (AEA/SAG-AFTRA) with over 20 years of experience performing in film, TV, musicals and theater in NYC, LA, and regionally. She recently starred in A Lie of the Mind (Beth), Dying City (Kelly- 1st NY revival), Closer (Anna), Danny and the Deep Blue Sea (Roberta), Three Sisters (Masha), and Hamlet (Ophelia), with The Seeing Place Theater. She is perhaps best known for originating the role of Cindy in the national tour revival of Suds, The Rockin’ 60s Musical Soap Opera and starring in the first ever revival of the Broadway musical, Subways Are For Sleeping. Regional favorites include: The Last Five Years, Angels in America, South Pacific, Wit, Evita, My Fair Lady, and The Norman Conquests. She starred in a recent workshop reading of North Atlantic opposite Robert Cuccioli, written by Salon member Michael Colby, and appears on demo recordings with Christine Ebersole and Howard McGillan. When not on stage or on set, Erin spends her time creating opportunities for herself and others through producing, most notably as Managing Director of The Seeing Place Theater and consulting producer with City Kid Films. She also is the founding artistic director of the ACTOR-OWN Musical Theater Collective, a group of singers who get togther once a month to read/sing through a musical to sharpen their skill and revel in the joy of musical theater. As her “day job”, Erin is the founder of The Actors’ Enterprise, a fun and inspiring one-on-one coaching service that provides incredibly affordable business training to actors who want to feel more fulfilled and in control of their careers. 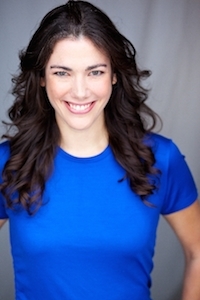 Her sessions includes coaching on marketing, branding, business skills, and audition/interview techniques that help actors work SMARTER, not HARDER. Sierra was christened the first “Blogette” by Sue Matsuki in 2010 and is a Board Member of The Salon. She debuted her solo New York show, “Running in Place,” in 2018 with fellow Advisory Board Member Bill Zeffiro as her Music Director. Her vocal group, Marquee Five (www.marqueefive.com) won a MAC Award for Vocal Duo/Group and released their debut CD, “8-Track Throwback,” in 2011. 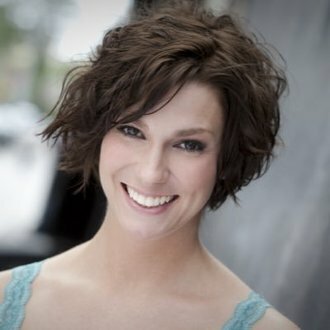 Sierra was last seen waving tentacles, wands, and swords as various cartoon characters for Disney Cruise Line, knitting on a train for Ogunquit Playhouse’s “White Christmas,” and was seen in both color and black and white at Goodspeed Musicals’ production of “City of Angels” as Angel City 4 Alto-Donna/Oolie understudy. Last year, she made her musical film noir parody short debut in “Better Dead Than Red.” She yearly sings with the Manhattan Holiday Carolers and regularly appears at open mics, for composer showcases, and can be seen in many online videos with her puppet, Kay “ThePal” Pringle. Julie has been featured in the Broadway by the Year series at the famed New York Town Hall. Highlighted in both the “Broadway Musicals of 1940 and 1965,” Julie costarred with some of Broadway’s best. She has been featured in numerous Cabaret Conventions sponsored by The Mabel Mercer Foundation. Most recently at Lincoln Center¡¯s Rose Theatre as well as in Chicago’s famed Park West. Roy Sander has been covering cabaret and theatre for nearly twenty-five years. His reviews and commentary have appeared in seven print publications—most prominently Back Stage—and onCitysearch on the Internet and the MAC web site. In addition, he appeared monthly on “New York Theatre Review” on PBS-TV, and weekly on WLIM-FM radio. 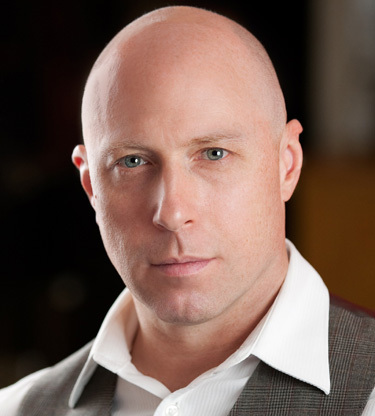 He is a member of the Bistro Awards committee, a judge for the Nightlife Awards, and Chairman of the Advisory Board of MAC, and he was twice a guest instructor at the London School of Musical Theatre. He currently writes reviews for www.BistroAwards.com. Bill wrote book, music and lyrics for The Road To Ruin (The 1928 Exploitation Musical) which makes its world premier at the New York Musical Theater Festival (NYMF) in September 2008. The cast album, available on Original Cast Records (starring George S, Irving, and Ann Morrison) was named one of the Top 10 Show Albums of 2005 by talking.broadway.com. It was a National Alliance For Musical Theatre semi-finalist in 2006 and further developed in cooperation with The Academy for New Musical Theatre in Los Angeles, East of Doheny, and The Fifth Avenue Theatre in Seattle. Recently Bill produced and performed on the debut recording Randy Newman’s song, “Stupid Little Songs” with Brooke Sunny Moriber. Other recent projects: Producer/Music Supervisor of the Original Cast Recording of “JACK An Opera About The Life Of John F. Kennedy” by Will Holt and Tom Sawyer and producing Kitty Carlisle Hart’s final recordings in 2006. 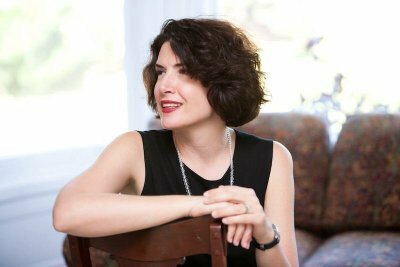 Singer/songwriter, cabaret performer and author Meg Flather is two time Backstage Bistro and three time MAC Award-winning performer who has garnered glowing reviews from top New York entertainment publications and websites. Meg is often compared vocally, lyrically and stylistically to legendary singer/songwriters: Joni Mitchell, Carly Simon, Annie Lennox and Suzanne Vega. Meg has released seven CDs of her original music (all of which are available on iTunes), and she has written and recorded songs for independent films, the Off-Broadway show Acts of Love, and on behalf of Alzheimer’s, Autism and suicide awareness. Meg is a member of ASCAP and all songs are published by Margaret Hall Music. Meg has also been a featured performer for The Gay Men’s Health Crisis at New York’s historic Webster Hall, for the Vermont Film Festival and the Tribeca Film and Family Festival. In December 2013, Meg performed her music to benefit the victims of Typhoon Yolanda at the Philippine Consulate. Meg will make her debut at the Mabel Mercer Cabaret Convention at Lincoln Center, October 2018. Meg has performed in commercials and corporate films and for 16 years has served as brand ambassador for skincare lines sold on QVC, HSN, SHOP NBC, TVSN, Australia, and The Shopping Chanel of Canada. Meg trademarked the name, “Home Shopping Diva”® and her 2011 one-woman show of the same named as one of the “Top Ten Cabaret Shows of the Year” by Times Square Chronicles. Meg’s autobiography, Home Shopping Diva . . . Lessons, Lyrics and Lipstick, is available on Amazon.com. All the songs quoted in the book are available on iTunes. Janice Hall has performed in opera houses all over the world, including the Vienna State Opera, the Salzburg Festival, London’s Covent Garden, and the Komische Oper Berlin. In the U.S., she has appeared with, among others, the Santa Fe Opera Festival, the Chicago Lyric Opera, and at the Kennedy Center with the Washington National Opera. Janice lived for many years in Germany, and returned to New York in 2007. At that time, she began applying her performing gifts to cabaret, and immediately made a name for herself. She was a finalist in the 2010 Metrostar Talent Competition, sponsored by the Metropolitan Room. Her first solo cabaret show, Grand Illusions: The Music of Marlene Dietrich, won Janice a 2011 Bistro Award for Tribute Show, and the 2012 MAC Award for Female Vocalist of the Year. 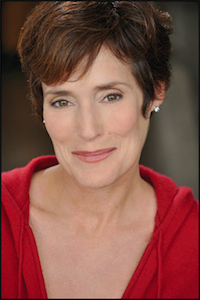 Janice has appeared as Violetta in an Emmy-winning “Live from Lincoln Center” PBS broadcast of La Traviata, and, in 2012, made her off-Broadway debut in Monica Bauer’s play My Occasion of Sin, at Urban Stages Theater. She has also appeared in Street Scene, at the Kurt Weill Fest in Dessau, Germany, the operatic version of Angels in America, with the BBC Symphony in London, and the LA Philharmonic, and is featured on the world premiere recording of Before Night Falls, which she performed with the Fort Worth Opera. Marnie Klar is originally from Virginia Beach, VA. She has a BFA in Musical Theatre from the University of Miami, where she performed in “Into The Woods”, “And The World Goes ‘Round”, “Tartuffe”, “Piece of My Heart” and “Mame” (directed by the legendary Jerry Herman). She has been featured as a runway model in New York City and Washington, D.C. for such designers as Max Mara, Fernando Sanchez & Tiffany’s and has appeared in such magazines as Seventeen, YM & Self. Regional Theatre credits include “Three Tall Women”, “Wild Oats” & “A Lie of the Mind” (Ensemble Theatre of Cincinnati) and “Once Upon A Mattress” & “The Wizard of Oz” (The Hurrah Players, in Norfolk, VA.). New York Theatre credits include Love Song (Seeing Place Theater), Shakespeare’s Venus and Adonis (HERE Arts Center), Warning Adult Content (Shetler Studios, TDG), Jewel Thieves! (Time Square Arts Center), and Fleet Week: The Musical (Lucille Lortel Theatre- Fringe NYC ’05 Winner Outstanding Musical). 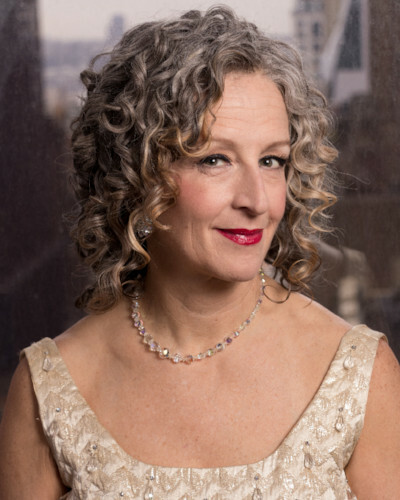 Marnie is a recurring performer with Vocal Ease, a nonprofit organization that provides live entertainment for NYC’s senior citizens and she recently performed In The Lounge at Dixon Place and at the Cornelia Street Café with Vaudevillage. Broadway: (SWEENEY TODD) Johanna, original, Theatre World Award, Grammy for Best Show Recording. Off-Broadway: Luisa (FANTASTICKS); Susan (THE WAVES); Elizabeth (SWAN SONG). leading soprano and dramatic roles performed all over the world with a bunch of great people (Joan Sutherland, Richard Bonynge, Leona Mitchell, Marni Nixon, Angela Lansbury, Harold Prince and Stephen Sondheim among others) and companies including the famed Gran Teatro la Fenice in Venice, Italy, Santa Fe Opera, Central City Opera, Minnesota Opera, and Dallas Opera in the leading soprano roles of DAUGHTER OF THE REGIMENT; RIGOLETTO; LE NOZZE DI FIGARO; THE BARBER OF SEVILLE; PIRATES; STUDENT PRINCE; NAUGHTY MARIETTA; MERRY WIDOW; DIE FLEDERMAUS; BITTERSWEET; THE MEDIUM; SHOWBOAT; PHANTOM; DESERT SONG; CANDIDE; MUSIC MAN; and HAMLET; to name a few. 2010 Bistro Award and 2011 MAC AWARD winner, Female Vocalist, for her critically acclaimed solo cabaret debut, SARAH RICE sings SCREEN GEMS, Songs of Old Hollywood and voted favorite female cabaret debut performer by Cabaret Hotline Online readers in 2009.